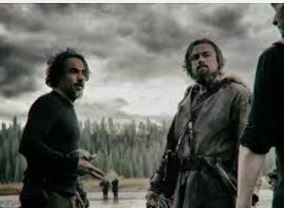 In a surprise win Saturday night, Alejandro Gonzalez Inarritu made history at the DGA (Director’s Guild of America) when he won Best Director for “The Revenant” after winning LAST year for “Birdman.” You could’ve knocked me over with a feather. I really did think it was going to be just about any one else. But I think the #OscarSoWhite controversy was very much on the DGA’s mind. 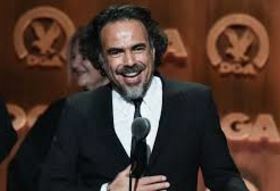 And Inarritu IS Mexican and considered Hispanic, so his award speaks to Hollywood-ers wanting to right that perception. This may mean he’s going to win at the Oscars now, too. And he broke into tears and gave a very moving speech about Mexicans in America and Donald Trump. Including the all Mexican kitchen staff that was “Making you sandwiches tonight.” I’m sure at the DGA’s grand banquet, they were dining on more than sandwiches. But it is important to note Inarritu’s historic achievement. He broke records and stats. And I only wish his two-and-a-half hour schlog of a film “The Revenant” were that short and that pointed and that moving. Besides making film and racial history, what else did this win mean? Well, it’s knocked “Mad Max:Fury Road” out of any serious consideration for Best Picture or Best Director. Many were predicting 70-something Australian George Miller winning, but alas that was not to be. Pete Hammond kind of tipped everyone off when he mentioned to Tom O’Neil that Inarritu was NOT going to be introducing the award as the previous winner historically does. He told Tom on one of the excellent podcasts on Gold Derby just this past week about Inarritu not making that announcement. “He can’t say, ‘The Winner Is Me! '” Hammond noted. Though evidently Irving Berlin did just that one Oscar year back in the day. This pushes “The Revenant” forward just at the time the Oscar voters are FINALLY getting their ballots towards the end of the week. Leo will win and now it looks like it’s going to be Inarritu is going to win, too. Will the wealth spread to other of the eleven nominations? It just might. And it might sweep in Tom Hardy, too, in Supporting Actor. The one really touching, true moment was Hardy talking about his being scalped alive during an Indian attack, and SURVIVING! Since “The Revenant” is facing off against “Mad Max” in many, if not all, of the below-the-line categories, the win may cause a “Revenant” sweep. But what of Best Picture? I don’t think THAT’s going to “The Revenant” too.”Spotlight” and “The Big Short” the “serious” smaller films, with less nominations. but mucho gravitas will score I’m betting. I think “Spotlight” which is being screened at the Vatican this week is the one who will win. It could get Best Original Screenplay, too, and that’s where Tom McCarthy will score. And THEIR Supporting Actor, if that’s the case, twice-nominated Mark Ruffalo could get swept in, too. PLEASE!